Ziger|Snead provided master planning, visioning, and full design services for the site and core and shell development of the historic Hoen Lithography building. The project consists of an entire city block that is part of the distressed Amtrak corridor in East Baltimore, one of Baltimore’s major gateways. 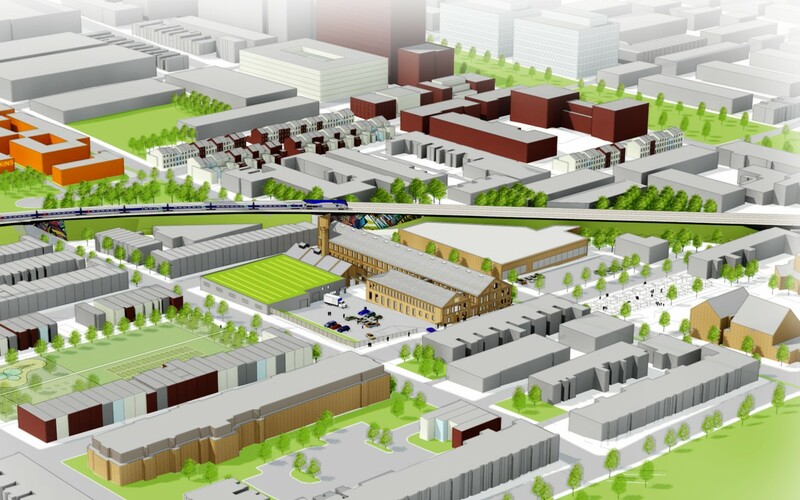 The project is part of a larger effort for neighborhood revitalization that is connected to entrepreneurial opportunities through repurposing many of the former manufacturing buildings in the area. There are six buildings on the site including three historically significant buildings that are spectacular examples of late 19th and early 20th century industrial facilities. The main building is impressive in its sheer size, measuring approximately 320’ x 60’, and running the full length of the block. The project was granted historic tax credits as part of the Maryland Sustainable Communities program as well as a CORE grant from the State of Maryland. The project is a renovation and rehabilitation of the Historic A. Hoen Lithography complex in East Baltimore in to commercial quality office and community space. 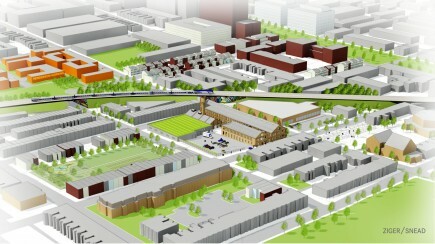 The site consists of 3 historic buildings, 2 non-historic warehouses, a shared courtyard, and onsite parking.